Every summer, one of my good friends throws a weekend long bash. It’s a great time to reconnect with friends, relax, and have a good time. Usually the attire is swimwear, but due to rain and cool weather, we had to move the party indoors. 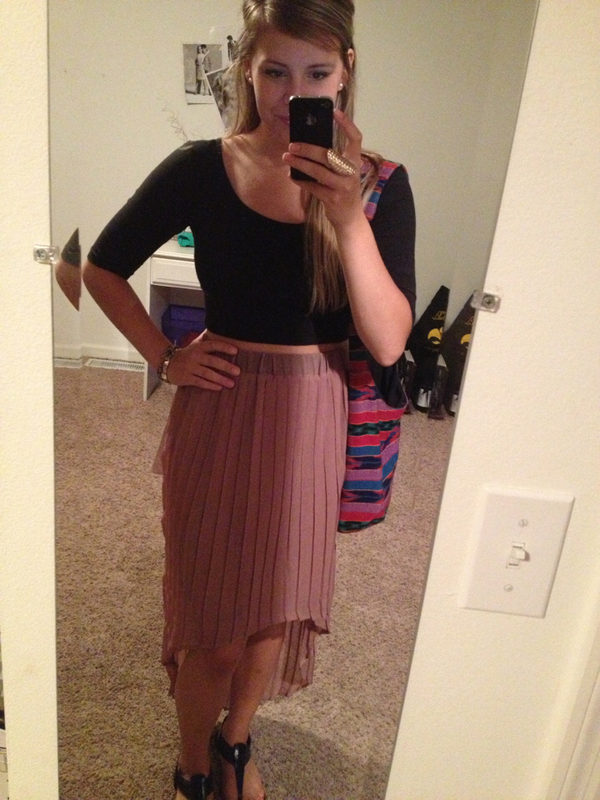 I wanted to keep it casual, but cute so a crop top with a high waisted skirt was an easy pair.